It may look a little unusual – but this unique facial massager will change your face forever. 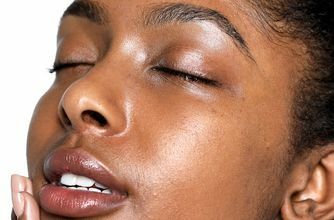 Mimicking the movements used in Sarah Chapman’s signature Skinesis facial (which Victoria Beckham calls the ‘best in London’), it will grant you that enviable post-facial glow all day long. 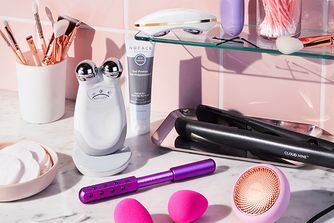 With a wishbone shape, rotating massagers and flat disc tappers, the ingenious device helps to brighten and lift, while simultaneously draining toxins, reducing puffiness and fighting breakouts. 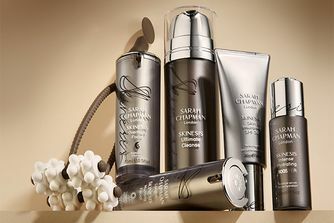 The most effortless way we’ve found to transform your face’s fortunes, try this and you’ll soon see why Sarah Chapman’s range has attracted legions of celebrity fans and countless beauty awards. 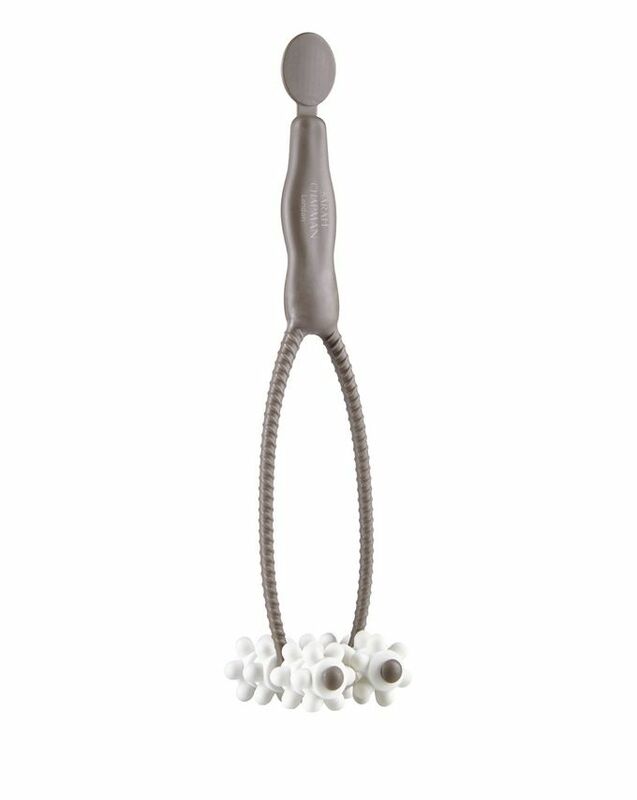 To replicate Sarah Chapman’s Skinesis facial massage at home, The Facialift features eight rotating heads and 48 massaging nodules, housed on a wishbone-shaped handle that opens out to hug the contours of the face and neck. Reshaping, refining and toning, the tool releases tension in the jaw, aiding lymphatic drainage, deeply cleaning pores to break down any blockages and dramatically lifting and sculpting, offering contouring effects, particularly in the jaw area. Mimicking the fast tapping, pinching and knuckling techniques used in Sarah Chapman’s signature facials, this ingenious lifting tool allows you to achieve pro-worthy facial results at home – effortlessly. With regular use, The Facialift brightens, tightens, drains toxins and reduces puffiness by encouraging blood flow and boosting the supply of vital nutrients and oxygen to your skin, enhancing youthful, radiant glow. Genius. Step 1: Holding the massager at right angles to the face, push and roll The Facialift from the chin to the ears allowing the wishbone to separate on each side of the jaw, avoiding the cheekbones. Step 2: Push and roll either side of the neck front to back. Step 3: Hold the rollers together and use the flat disc tapper to tap all over the face to plump and increase blood flow. Focus on bony areas and eye contour. When I started using it I went through an adjustment period when I had a headache and a small breakout - maybe because it promotes lymphatic drainage and I apparently really needed it (?). However that quickly passed and now my cheekbones and jaw line are more defined (I was asked if I'd lost weight and I haven't - my bone structure is just more pronounced) and my skin has a lovely well-rested glow. I love love love this gadget. It may kind of 'hurt' the first couple of times but then you also get used to it and it does actually loosen tension around the jaw line. However, be aware to really watch the video. Sarah's video is excellent. I watched another one and the instructions were exactly as she said, "wrong.' So when used properly it will work and is a great tool for both morning and evening regimes. I've had this Facialift for a few years now, and have to say when I first purchased I found it really hurt my face, but that's because I was using it incorrectly! Like the previous review states, watch Sarah's tutorial on how to use correctly, or it will hurt. I love it now, it sits by my desk and I use it throughout the day, yes I got some funny looks at first, but now everyone wants to use it. I love this facial lift. I have changed a lot in my skin care (thank you Cult Beauty) and I added this facial lift. The first time it hurts, but now I use it all the time. I like to use it in the evening, because the face becomes more red and "thicker" after use. Great to do in front of the TV. I have seen a major difference in my jawline. To do it correctly you must watch the you tube video.